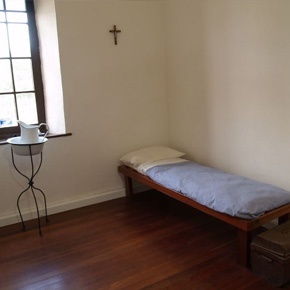 The schoolhouse has local, national and international significance for its association with Mary MacKillop and Father Julian Tenison Woods, co-founders of the Australian religious order of the Sisters of Saint Joseph of the Sacred Heart at Penola in 1866. 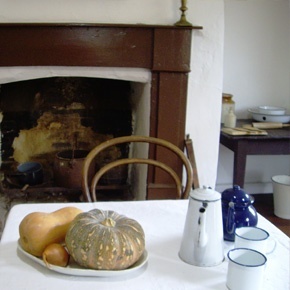 It is a simple gable roofed building of three stone rooms – a schoolroom, bedroom and kitchen – and is prominently located at the entrance to the Petticoat Lane State Heritage area. Construction is of roughly struck rubble masonry, hardwood floors and timber raftered roof. It has three large fireplaces. The original blackwood shingles remain, covered with galvanised iron. The newly-completed school-room was described in the Border Watch of 15 June 1867 as ‘a fine room 40ft by 20ft and about 14ft high’, which was very spacious compared to the children’s homes. Its eight gothic windows ensured that it was filled with natural light and fresh air, and the fireplace provided warmth during wet, cold winters. The new St Joseph’s school, which was later renamed the Mary MacKillop Memorial School, opened in 1936, and the schoolhouse was then used for various parish functions such as dances and wedding receptions. Parishioners the Lynch brothers replaced the floor with one of fine jarrah and George Mepstead acted as caretaker, a plaque in the building commemorating his dedication over many years. However, the building gradually fell into a state of disrepair. This deeply concerned a group ofFederation Sisters of Saint Joseph from Lochinvar NSW who visited Penola in 1978. 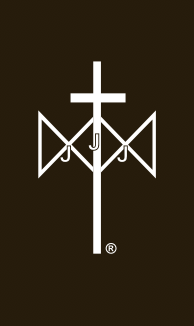 They roused the parish to an awareness of its significance and a restoration committee was formed. The Lochinvar Sisters’ donation was soon followed by others from Sisters of Saint Joseph in Australia and New Zealand, this generosity giving the committee the financial means and encouragement to proceed with the restoration programme. The volunteers worked hard to restore the crumbling walls which were affected by severe salt damp, which was later completely eradicated. They repaired the roof and original windows. Robert (Bob) Geraghty’s engaging account of this work – ‘The Restoration Story’ – is available on request in the research room at the Centre. In 1988 the Restoration Committee merged with a new committee known as the Woods MacKillop Schoolhouse Committee. This committee was responsible for setting up the schoolhouse as an information centre and on 5 March 1989 Archbishop Faulkner opened and re-dedicated the historic building. It was then opened to visitors for restricted hours, but proved so popular that the times were graduallyextended. This was only possible due to the generous volunteers who agreed to staff it on a daily basis. Its conservation continues in accordance with the Burra Charter, which sets a standard of practice for those who provide professional heritage advice to owners, managers and custodians of culturally significant places. Advice about the Schoolhouse is provided by the SA State Heritage Branch and also the Limestone Coast Heritage Adviser, this being a joint State, National Estate Grants Programme and Local Government initiative. Penola is not usually subject to dramatic weather events but on Saturday evening 31 July 2010 a tornado hit unannounced. It cut a swathe through a strip of the town damaging homes, businesses, the Bowling Club, the Mary MacKillop Interpretive Centre and the Schoolhouse. The iron roof of the Schoolhouse was ripped off, the fence was destroyed and sheets of iron were littered all around the grounds with debris from other damaged buildings. The ceilings came down in the two back rooms but the main room was spared from water damage due to the old wooden shingles that remained in place underneath the iron. There was some minor damage to the sturdy stone walls. 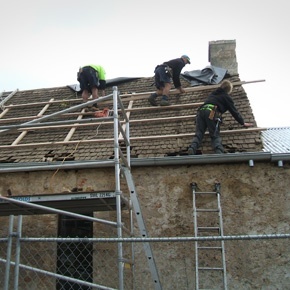 The Catholic Church Insurance Company and the builders acted very quickly as it was essential to have the repairs completed for Mary MacKillop’s canonisation on 17 October 2010. The Schoolhouse was ready for occupation just a week before that important day and Penola’s canonisation celebrations. It is now stronger than ever with the roof tied down to hurricane standards.